Before we were 11,000+ employees, the entire sales organization used to come together every January for a conference in San Francisco. 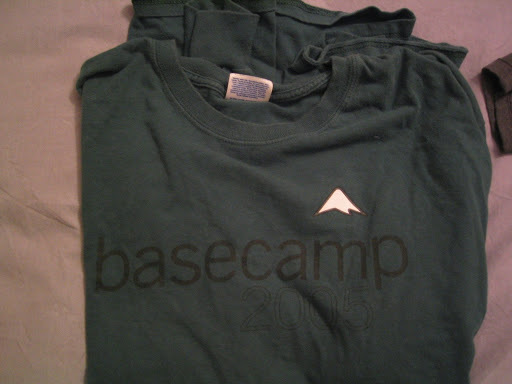 2005’s theme was “base camp” because although things were going well, we had clearly only begun the climb to the summit. While I’m usually dismissive of corporate metaphor this was a reasonable picture to paint and indicative of what you hear from all corners of Google — we’ve got a big project and it’s a long journey. Given the theme I had to chuckle a bit when Opus One started flowing at a dinner one evening (paid for personally by some folks, not the company dime). I don’t think you usually have $125 bottles of wine at base camp, but hey, i guess a little celebration isn’t out of the question.